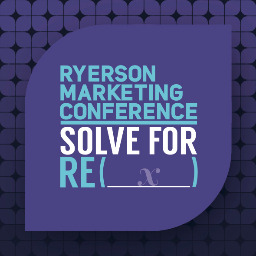 The Ryerson Marketing Conference is your opportunity to learn from marketing leaders who shape business strategies, push technology, build brands and drive our culture forward. Join 100+ internal and external delegates for two days filled with immersive and educational experience that is centered around the changing world of marketing. By remodeling the experience of a standard conference, RMA will engage you through a series of hands-on workshops, case competition, and panels of speakers. It is your chance to find a career in marketing that best fits you by experiencing required stepping stones and discovering the most recent marketing trends. 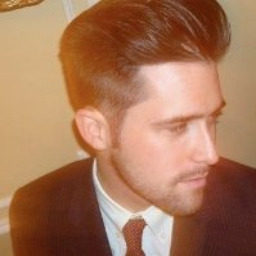 Bio: Kerry is the founding Managing Director of m/SIX in Canada. m/SIX is one of the world’s fastest growing full-service media planning, buying and analytics agencies. She has more than 25 years of executive level media experience in Canada, the U.S. and Europe and she is a former Publisher of some of Canada’s most popular consumer and business media brands including including Chatelaine, Canadian Living, Flare, Today’s Parent, Style at Home, Profit, Equinox and more. As a VP at Rogers Media for nearly 10 years, she led a sizable media portfolio leading teams to develop innovative audience and advertiser relationships across media channels and client categories. She has operated her own consultancy driving new business strategy for clients, including GroupM and Maxus. 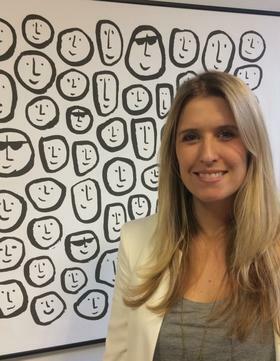 Her agency experience includes leading communications strategy development for BMO, Revlon and Kruger Products, as well as cross-agency team coaching and management of client business leads at Maxus. Bio: Allison is a creative junkie and ambitious hustler. A graduate of McMaster University’s Honours Bachelor or Commerce Program in 2012, she spent the first year of her career in eCommerce at Sears.ca. Since her then her experience has evolved working both agency side in Account Management and most recently she returned brand side as a Manager, Online Marketing, eCommerce where she was an integral member to the content launch strategy for HoltRenfrew.com. Allison has had the opportunity to work with a variety of brands including Tim Horton’s, Maple Leaf Sports & Entertainment, Sport Chek and AXE. 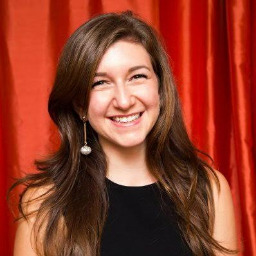 Outside of the 9-5pm she is involved in the Marketing Community as an industry presenter at local universities and is a member the AdLounge NextGen Dinner Series Program committee. Allison also is an avid runner, triathlete, traveler and foodie who shares her journey of chasing her next finish line via social media. 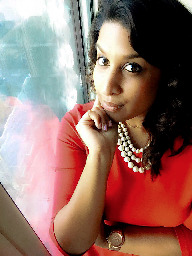 Bio: Amla Persaud’s creative mind partnered with her globe-trotting lifestyle has positioned her as a marketing enthusiast. Disruptive digital content and innovation are her passion projects as she continues to build her career. Having a strong network and keeping a keen eye on the best-in-class has enabled her to be a key contributor on everything from sponsorships to brand launches, VR summits to app design. Her early career with a design firm in Toronto and Dubai flexed her management opportunities globally, followed by a longstanding tenure at CIBC Marketing offering multiple opportunities to build and evolve an iconic Canadian brand. Bio: Caley Adair is a bold and celebrated strategist. His ambitions have driven his career through the digital financial landscapes of BMO, CIBC and most currently Sunlife. As a leader in digital and social content creation and evolution, his young mind has inspired and influenced executive audiences to trust his leadership and navigation of the industry. Caley’s commitment to achieving beyond the status quo and creation of forums that enable collaborative builds has enabled a natural progression of his career. Caley’s genius goes beyond the workplace and expands into the gourmet kitchen, global travel and high fashion. Bio: A creative actively supporting innovative projects that have a positive impact. I make things happen. As Creative Director of Now Creative Group, I work with a team of creative and business professionals to provide Design, Digital, Marketing and Media services to startups, businesses and non-profits. We also produce content for our own media properties through Now Digital Network. I'm passionate about helping others to create social change. After traveling to developing countries, I founded a non-profit to help children in the developing world receive an education and to empower local youth to become leaders. Today, ACCESS focuses on supporting youth who are creating their own projects and organizations for positive social change. After earning a degree in Graphic Design at OCAD University, I completed a certificate in Digital Strategy & Communications Management at the University of Toronto. 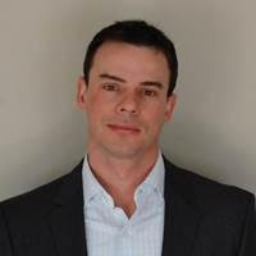 Bio: David Colebrook is Vice President of Marketing at Cara Operations Limited and part of the Senior Executive team. Cara is a publicly traded Canadian company which is a consolidator in the Canadian Restaurant & Food Service market with over $2.8B in sales across 14 restaurant chains such as Swiss Chalet, Harvey’s, Montana’s, St. Hubert, Original Joe’s, Bier Markt, and New York Fries . Prior to joining Cara in August 2012, David worked at Procter & Gamble, Frito Lay Canada, and Spin Master in progressive marketing and sales roles. In 2002, he was nominated as a “Top 30 under 30” by Marketing Magazine. 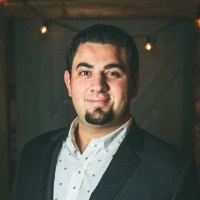 David has a Bachelor of Business Administration from Wilfrid Laurier University and an MBA from the Kellogg Schulich School of Management. Co-Founder and CEO, ChopChop Inc.
Bio: I'm a passionate entrepreneur, strategist, and executor. 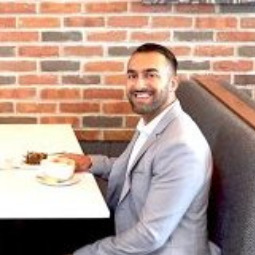 As CEO & Co-Founder of ChopChop, I'm focused on connecting customers to restaurants through real-time digital marketing. ChopChop is poised to becoming a leading player in the North American restaurant and dining industry. I hold a CPA, CA designation, and obtained my Master of Accounting from the University of Waterloo. Prior to ChopChop, I wore multiple hats at KPMG, and was most recently a Manager in the firm's Deal Advisory practice. Bio: Jasmine is a 5th year Business Management student majoring in Marketing and minoring in Entrepreneurship & Strategy. Her involvement as the Vice President Events last year has helped her develop a passion for marketing and outreach. As President, Jasmine hopes to use her passions to create impact and continue to build an engaged community of aspiring marketers at Ryerson University. In the future, Jasmine hopes to pursue a career in experiential marketing, helping brands to connect and engage with their audiences in unique ways. 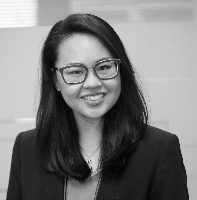 Bio: Lynda Hsu graduated from the Marketing program in 2015. While at Ryerson, she was highly involved in student groups including VP of Marketing for Real Estate Ryerson, Speakers Liaison for TEDxRyersonU and as an individual case competitor for DECAU. Previous to working for TD, Lynda held roles at the DMZ and as a Marketing Coordinator for the Toronto Region Board of Trade. Now at TD, she is part of the first cohort of the Digital Channels Rotational Program where she has the unique opportunity to rotate roles every 6 months in different spaces within Digital. Currently she is in her final rotation in the real estate space to build new digital capabilities. Bio: Marc Minicucci is an experienced accountant at a mid-size public accounting firm, practicing in the assurance service line. Marc has a desire to learn and grow, and be an integral part of a high-performing team. He adds value by exercising a commitment to quality, excellence and providing exceptional client service. Marc is registered under the CPA, CA legacy path. He has successfully completed the CFE as of September 2016 and is expected to qualify his practical experience hours by late 2017. Bio: Maya graduated from the University of Alberta with a Bachelors in Commerce - with a major in Marketing. After winning Canada’s Next Top Ad Exec Maya moved from Edmonton, AB to Ontario to pursue a brand marketing opportunity with PepsiCo. She worked with top tier brands such as Tostitos and across major retail partners like Costco, Target, and Shopper’s Drug Mart developing custom innovation and in-store strategies. After winning the opportunity to go to Cannes International Festival of Creativity she then transitioned to the startup world. Working at THP Agency, Maya developed the marketing team from the ground up - focused on delivering timely, relevant industry news to clients and building efficient campaigns to build interest in the company. She briefly worked at Geometry as an Account Supervisor working with top-tier brands such as Dove and lead the execution of the Shoppers Drug Mart #InspireConfidence Dove Retreat and Becel Blend Bar activations in Loblaws prior to coming to Zoom. 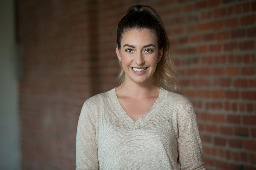 Maya joined the Zoom team prior to it's launch in October of 2016 and is heading the marketing efforts of the brand for the new service in the Ontario area. 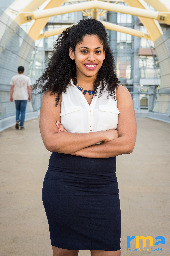 Bio: Natasha Nesrine is an enthusiastic educator who has dedicated her life to expediting the growth of high performers through positive psychology. Bio: Pat is a digital native who has a passion for remarkable and purposeful user experiences. He has held various roles in this space at CIBC and RBC and has lead the definition and delivery of numerous digital products to millions of users. In this current role as Senior Manager, Digital Strategy & Enablement, Pat is responsible for working with various stakeholders to establish a winning digital strategy, and for ensuring that digital initiatives add value to the end user as well as the business at RBC Wealth Management. 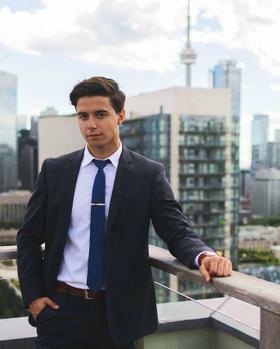 Pat completed his undergraduate degree in Management Engineering at the University of Waterloo and is currently finishing his MBA at Ted Rogers School of Management. 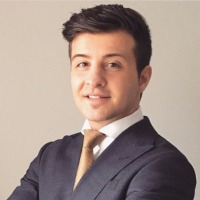 Bio: Ricky is an enthusiastic leader at CIBC Live Labs with a unique combination of Mobile, Marketing, IT, Consulting, and Business skills. As a Product Owner, he is implementing Lean and Agile practices to change the traditional processes of a bank. Bio: Suresh Parmachand is the Strategic and Creative Director at Stratovate Group, a full service marketing and strategy agency. With over 20 years experience working with some of the world’s largest brands like GE, Wal-Mart, ICI, and Holcim. Suresh lives and breathes strategy and marketing, and strives to be a customer advocate in everything he does. This philosophy is the overarching framework that developed Stratovate Group’s approach, “The Honeycomb Effect™,” which is a model predicated on creating positive change by delivering integrated approaches to everyday business challenges. 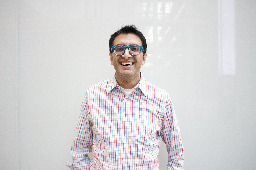 Suresh’s graduate studies focused on marketing and strategy at Edinburgh Business School. Bio: Prior to joining the Ted Rogers School of Management, Joanne held senior research, marketing and advertising positions in public and private sector companies. She was made a Fellow of the Marketing Research and Intelligence Association in 2002. The MRIA Fellows program provides deserving recognition to those who have made distinguished contribution to marketing research in Canada. Joanne was one of the youngest candidates and one of only a handful of women to be so honored. She completed her PhD (Management) at the Sprott School of Business at Carleton University in 2010. Joanne's research takes a unique perspective on exploring innovation adoption. While extant research focuses on consumers’ reaction to new technologies, her research focuses on the incumbent technologies that may be replaced by the new. Rather than identifying users’ intransigence in the face of a replacement innovation as non-adoption, resistance to innovation adoption or status quo behaviour, Joanne identifies and test the behaviour as resistance to discontinuing an incumbent technology. Joanne focuses on understanding the attitudes and behavior of simultaneous users, rather than non-adopters or full adopters (only use the replacement innovation). She believes that the consumer who demonstrates simultaneous use behaviour has consciously considered the benefits of both the incumbent and replacement technology. The long-term use of both suggests that the user believes that each technology has important benefits that one or the other does not have. Joanne has a particular interest in paper documents (e.g. bills and statements, textbooks, books used for leisure reading) as a powerful examples of resilient technologies. Paper documents are particularly fascinating objects to explore since they are widely available and consumers are very familiar with them. However, until her research, their meaning and function to consumers has been obscured from the researchers’ view due to their ubiquity and familiarity. Bio: Liz Couto began her marketing career in 2009 and went on to craft advertising campaigns for some of Canada's biggest brands. Liz then transitioned to the tech world and spent over two years building narratives and content for Twitter Canada. She recently began a new role as a Content Strategist for Shopify. 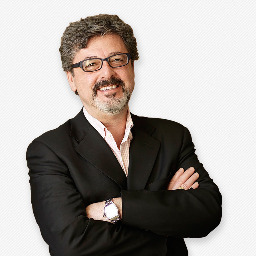 Bio: Aldo Cundari is Chairman and CEO of Cundari Group, a multidisciplinary marketing agency offering traditional and digital services to global brands. The firm specializes in integrated marketing, branding and design, and interactive and software development services powered by research insights. In 2012, Cundari Group was ranked among the top 10 most awarded digital agencies worldwide and in 2014 Cundari received international recognition when two of its campaigns were included in the WARC 100 as two of the World's Smartest Campaigns. That year, Cundari was also ranked by WARC as the #1 automotive agency in the world. 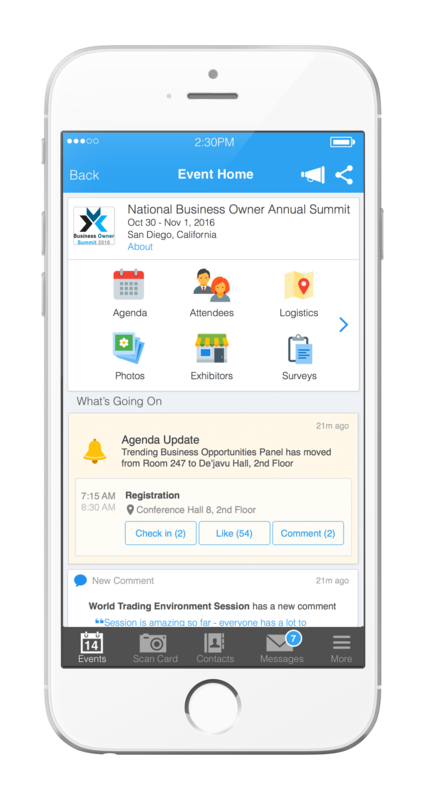 Attendees please download Whova event app, to access the information of all 30 speakers.